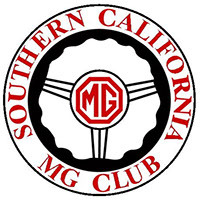 The Southern California MG Club (SCMGC) was established in 1978. It is a non-profit organization dedicated to maintaining and expanding interest in MG automobile heritage to the enjoyment of these classic British cars. The objectives of SCMGC, in affiliation and cooperation with the various MG National Registers, shall be to: promote the preservation of the MG and its variants as recognized by the National registers, by inspiring and developing each owner’s interest in his/her machine; and to promote the enjoyment of the use and ownership of the machine through tours and fun-type events. Membership is open to anyone, whether or not an MG owner.